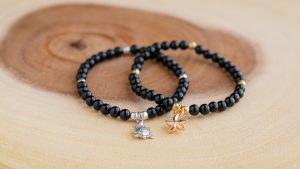 These beaded bracelet are perfect for Kids. 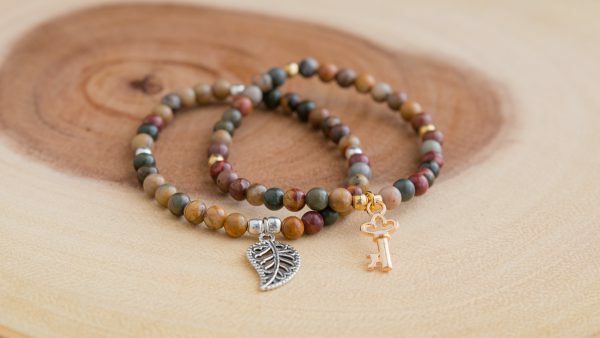 Beautifully hand-made from natural healing gemstones along a shining elegance of Silver Plated or Gold Metal Charm. These gemstones are suitable for Children. 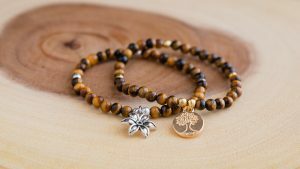 This Bracelet is handcrafted with 38 – 4mm Picasso Jasper, 5 – 3mm Silver Plated or Gold Metal spacers, These beads have been specifically selected for their metaphysical powers as they receive their energy and power from nature itself. Made on strong stretchy elastic, these small beads gives a delicate look on your kid wrist. Most of the Charm are unique pieces if you are looking for a specific theme, please let us know. Available sizes: small (6.3 in.) and medium (6.7 in.) For custom sizes please contact us with the wrist measure. 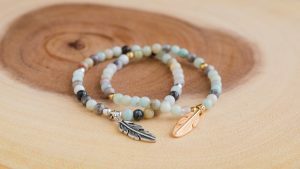 Bracelets are made with natural stones and materials so please allow for slight variations in appearance. Spacers: 3mm Silver Plated or Gold Metal. Comes with a Satin drawstring pouch bag for proper storage and protection. – PICASSO JASPER: helps with quick thinking and promotes organizational skills. It has strong grounding and calming qualities and helps to engender strength and self-discipline. Jasper stimulates the imagination and transforms ideas into action. If you require a bigger bracelet please include the wrist measurement in the notes section when making purchase. If your item breaks due to normal wear and tear within 90 days of purchase simply contact me in order to send the item back for a free repair / restring. Buyers are responsible for return shipping costs. 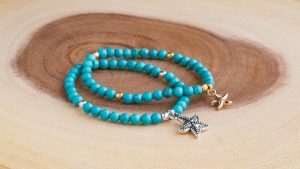 If the item is not returned in its original condition (beads/Charm missing), the buyer is responsible for any loss in value.